Good news! From now until we’ve used up a secret allocation we’re offering TWO years membership and promotion to over 300,000 for the price of ONE. 4 Opportunities to highlight a book in our monthly Voracious Reader newsletter. Interviews, Blogging and New Release Posts. 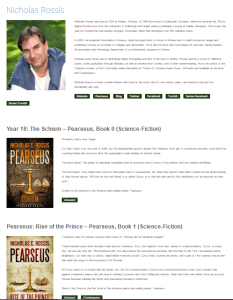 An Author Page | TWO tweetsa day to over 300,000 (Approx 730 tweets a year) | Interviews | Blogging | New Release Posts | Two free Book of the month additions during the year. An Author Page | Tweets every other day to over 300,000 (Approx 180 tweets a year) | Interviews | Blogging | New Release Posts | One free Book of the month addition during the year. Sign up for any of these fantastic memberships by emailing us through the contact form below. Our team will be in touch within 12 hours to inform you of the information we’ll need to get you all set-up. Hint: It’s pretty much just your bio, book covers, blurbs and purchase links. Payment will be through PayPal invoices – which you can settle via card or PayPal. Make sure you add PAUL@SELFPUBLISHERSSHOWCASE.COM to your email addresses so our response doesn’t hide in your spam/junk folder. We’re are also running this offer on our sister site (IndieBookButler.com) so pop on over if you’d like to check out another fantastic offer. Paul, thanks so much for the post.Much thanks again. Really Cool.